Langton, a junior whose interests range from science and yoga to performing as a drum and bass DJ, wasn't there simply for his own personal growth and wellness. If he didn't show up -- and didn't reflect on the experience later with classmates and professors -- his GPA could get knocked down. 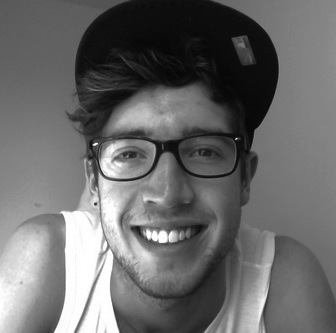 Henry Langton, a junior at Brown University, is concentrating in contemplative studies. The meditations, or MedLabs as they are called at Brown, are an integral part of an effort the Ivy League university has undertaken in recent years to incorporate the study and practice of yoga, meditation and mindfulness techniques into its curriculum. In August, Brown launched one of the first formal undergraduate concentrations in the country in contemplative studies, and Langton is one of its first enrollees. In it, students not only study philosophical and meditation approaches gleaned from Buddhism, Hinduism, Daoism and Confucianism, but they try them and incorporate them into classroom lectures and discussions. "Doing the practices ourselves helps make the abstract nature of Buddhism more tangible," said Langton, who is pursuing a degree in contemplative studies, focusing on its science track, which looks at the cognitive neuroscience behind practices such as meditation. "But its not just a better understanding of what we are studying in this class. Its applying that mode of thinking to everything else. For example, I'm taking a journalism course, but what is that doing for me in terms of expressing my thoughts? You begin to practice noticing and thinking in a different way." The broad area of contemplative studies and sciences has made an impact in the workplace, in hospitals and in town squares. Human resources departments offer meditation instruction. Physicians incorporate breathing techniques into treatment. Yoga has become a ubiquitous part of any gym's offering. Campus groups across the U.S., too, have grown around the mind-body connection. But more recently, several universities have started offering degrees, certificates, trainings and centers in contemplative studies. The University of Virginia has established a Contemplative Sciences Center in Charlottesville, while in suburban Atlanta, there's the Emory Collaborative for Contemplative Studies. New York University's postdoctoral program in psychotherapy and psychoanalysis has a Contemplative Studies Project. At Rice University, religious studies graduate students can concentrate in contemplative studies. In California, Stanford University has a Center for Compassion and Altruism Research and Education. Students and faculty from Brown University explain contemplative studies in a video made for the program's website. "One of the challenges for mindfulness and contemplative practice is to see it not only as a tool for stress-reduction, but as a means for going deeper into different subjects and ways of living. It's not just about student well-being, which of course we care about, but it's about how a contemplative approach to research can actually enhance understanding," said Arthur Zajonc, president of the Mind and Life Institute in Hadley, Massachusetts, a nonprofit that focuses on creating dialogue between scientists, philosophers and contemplative practice. 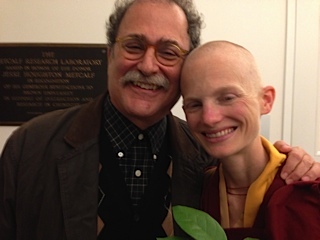 Harold Roth, director of the Contemplative Studies Initiative at Brown University, with Ani Sangye Chodron, one of the first students to concentrate in contemplative studies. Chodron is now a Tibetan Buddhist nun. The group has been at the forefront of increasing contemplative study in the U.S., along with the Center for Contemplative Mind in Society. The Northampton, Massachusetts-based center has awarded fellowships and grants to more than 200 professors to create and expand contemplative programming, though degree programs such as Brown's are nascent. At Brown, medical students have had the option to concentrate in contemplative studies since 2007, and 14 Brown students, including undergraduates who designed their own contemplative studies programs before it was a formal major, have since graduated with the degree. "We're trying to produce a whole new generation of contemplative humanists, scientists and artists," said Harold Roth, a professor of religious studies and East Asian studies who is director of Brown's Contemplative Studies Initiative. "We're trying to build a whole new academic field from the ground-up." Roth, who teaches the theory and practice of Buddhist meditation class where Langton is a student, is a specialist in classical Chinese religion, Daoism and mysticism. A major difference between the program and more traditional areas of study, such as philosophy, Roth said, is the "combination of third-person pedagogy with critical first-person pedagogy." In other words, it's the idea of including in research and teaching what Roth called the "objective third-person perspective and a critical subjective perspective." The first method is what's traditionally found in most classrooms: a so-called straightforward approach to learning about a topic such as meditation through readings, writing and discussion. What's more unusual is the latter method, where students practice the topic at hand, such as breathing techniques, through a "critical lens that privileges empirical inquiry over normative claims," Roth said. Willougby Britton, an assistant professor in the Department of Psychiatry and Human Behavior at Brown University's medical school, co-teaches a contemplative studies course called Meditation and the Brain. That's where the thrice-weekly MedLabs come in. "We don't ever require that students believe any of these meditation claims are true. We just ask that they are informed about them and test them in the lab. They can question them or reject them," said Roth. Willoughby Britton, an assistant professor in the Department of Psychiatry and Human Behavior at Brown's medical school, is a member of the contemplative studies faculty, which also includes professors of theater, dance and Hispanic studies. Britton said participatory learning is one of the program's biggest strengths. In one course she frequently co-teaches, Meditation and the Brain, students analyze research on how mindfulness and meditation affect health, psychiatry and medicine. "You can be militant and demanding and punitive when they get distracted, which doesn't work, or you can make it into an exploration and fold it into the content of the class," Britton said. "You can ask, 'Okay, what is going on in your body when that happens?'" 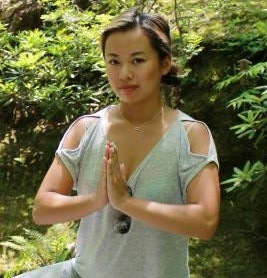 Hiroe Hu, who graduated from the contemplative studies program last year, is studying to be a yoga teacher and works at a nursing home in Oakland, California. Like any course that isn't strictly pre-professional, professors at Brown have fielded questions about how contemplative study can be applied outside the university. Among recent contemplative studies graduates, several have pursued PhDs and medical school. One went to work at the Prison Mindfulness Institute, a Providence-based organization that offers resources and education in mindfulness to prisoners. A former student who designed a degree in contemplative music teaches at the Rhode Island Civic Engagement Center. Another recent graduate joined AmeriCorps. Hiroe Hu graduated last year with a dual degree in contemplative studies and chemical engineering. She is studying to be a yoga instructor and planning to apply to medical school, and she currently works as a medical scribe at the Bay Area Healthcare Center, a nursing home in Oakland, California. She said her experience at Brown deeply affects how she approaches her job. 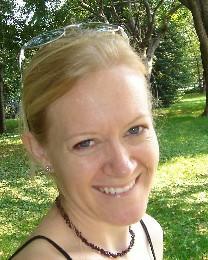 "I have sat through some very difficult conversations regarding end-of-life care for patients. We are expected to maintain being professional, but we also need to have compassion and understand what we are seeing and feeling. I've learned to look at things through someone else's perspective," Hu said. "That is a practice I began at Brown, practicing empathy and being there in the moment with someone in pain."